Squeaky dog toy with rope. For shared joyful moments with your furry friend. This bee plush toy is ideal for chewing, pulling and shaking to their heart's delight! 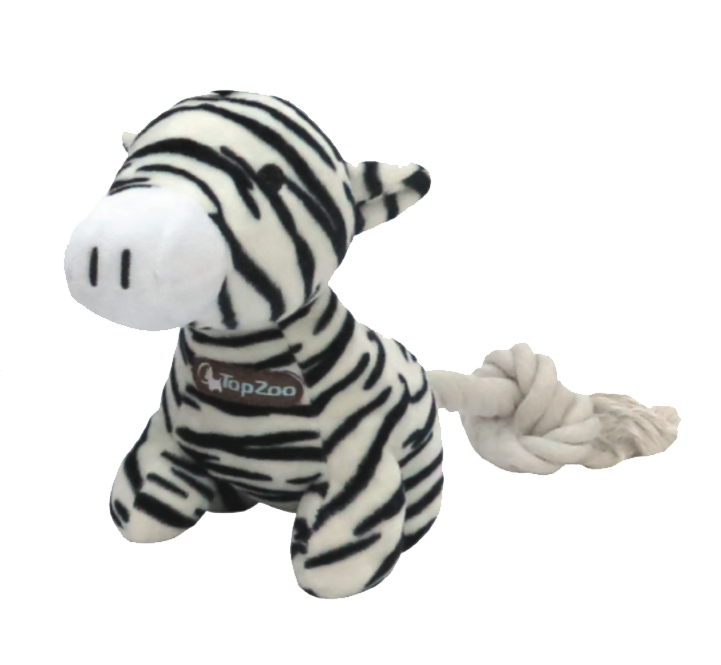 This toy combines the need to connect, to satisfy their natural need to chew and to simply play. Available in Girafe and Tiger. Not intended for powerful chewers.